Posted: Sun Apr 13, 2014 6:10 pm Post subject: Bees using alternative entrance -- should I close original? 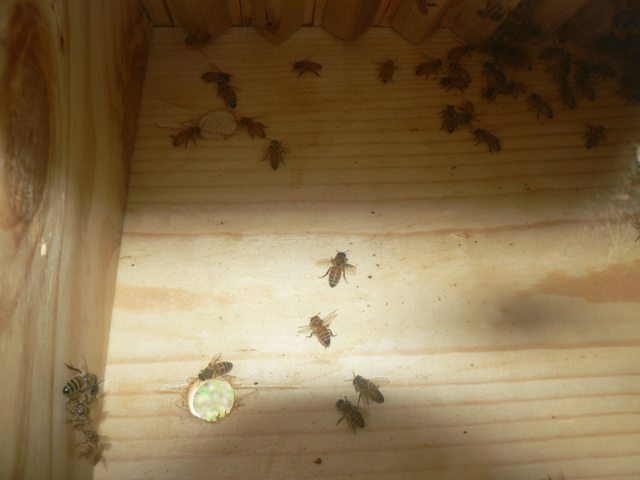 My immature hive building skills apparently left a small gap between the feeding station and the hive roof. 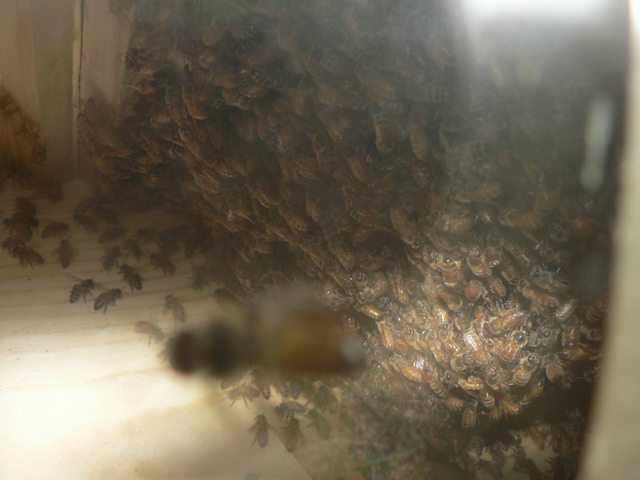 The bees found this gap and have made it their entrance point. 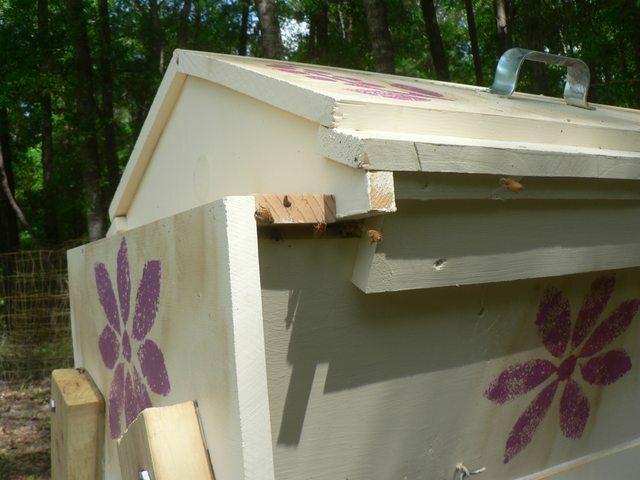 Essentially, the feeding station (a permanent fixture of the hive, separated from the body by a follower board affixed to the side of the hive) has become a covered porch . 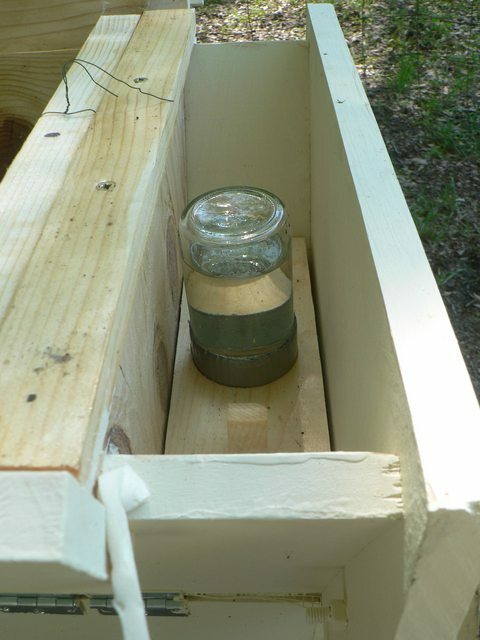 I opened the intended entrance hole anyway, and though bees are frequently near it on the inside of the hive, I've only seen a single bee actually use it to enter/exit. Should I place the screen back over this hole or even close it back up? 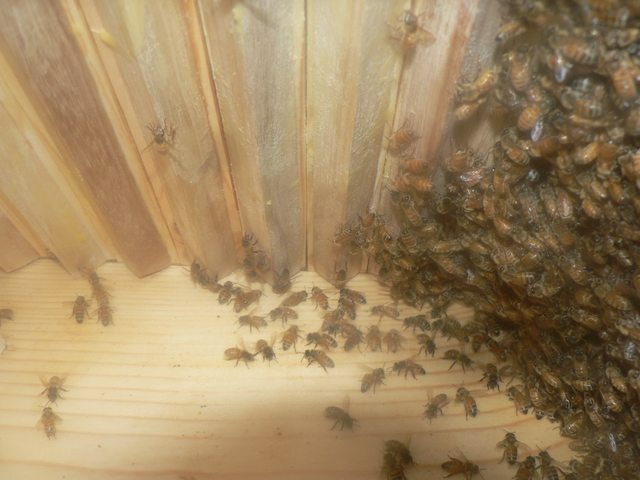 I'm concerned about insulation, and whether the bees can maintain the interior atmosphere the way they want it. 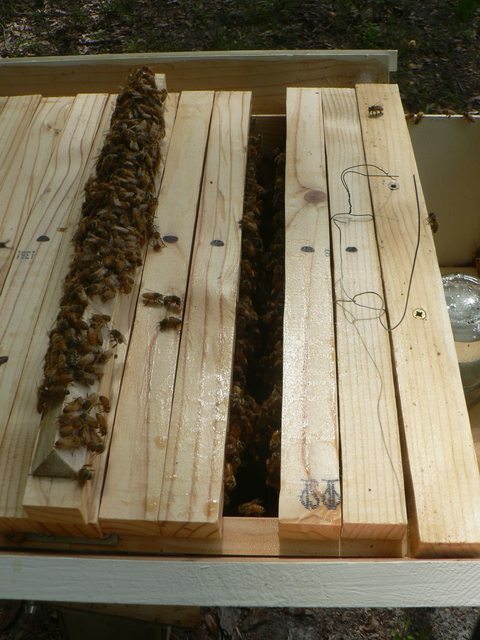 Otherwise, the hive is doing well, and the bees are building comb. It will be fine to leave both open. If it bothers you then close it up and force them to use the correct entrance but they will be OK. I would leave them both as they are. As bee numbers build up towards summer and new bees emerge, you may well find they will use both entrances equally. The overall entrance area is not excessive so not likley to cause problems. I would not be trying to force them one way or the other. My own hinged bottom board has warped a bit leaving a small gap. They tend to use this as an alternative entrance during summer, but seal it closed themselves for winter. Bees are pretty smart little things. Thank you for the advice! More bees today seemed to be using this entrance, especially drones -- in fact, the workers seemed to be pushing the drones out of the way of the smaller crack they're using, leaving the only easy way in and out being the bigger hole .